Established in 1999, we are a group of 90+ Human Resource professionals from Brainerd Lakes area. We are a Chapter of the Society for Human Resource Management (SHRM), www.shrm.org. Our vision: To be recognized as the foremost leader of HR resources, education and development for the Human Resource professional in the Greater Lakes area. Our mission: LAHRA is committed to promoting professional development, networking for constructive ideas and providing members with the awareness of political activities that affect the Human Resource profession. Our monthly membership meetings are a time to connect with your peers, get educated, and earn HRCI/SHRM Credits. See the Events Calendar for meeting dates. 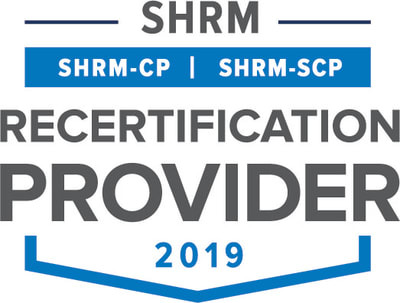 Lakes Area Human Resource Association is recognized by SHRM to offer Professional Development Credits (PDCs) for the SHRM-CP or SHRM-SCP.